De Vere Oxford Thames effortlessly blending historic charm and modernity. In 30 acres of scenic parkland, this hotel overlooks the River Thames. 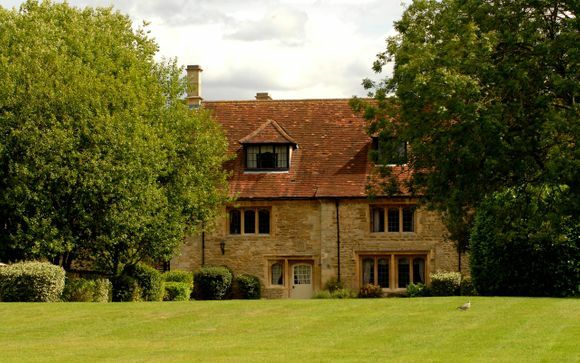 It offers luxurious rooms, a swimming pool, spa and gym, just 4 miles from Oxford. 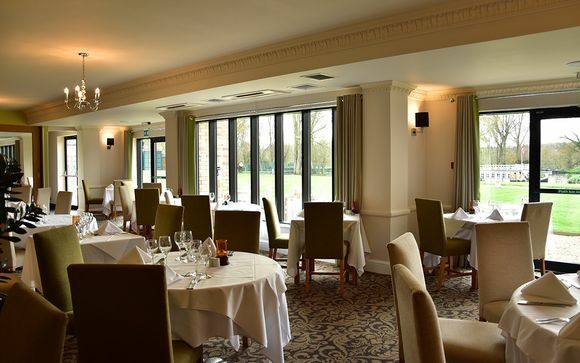 Our members will enjoy the River View Room Restaurant which has AA rosette of British classics, curated by BBC Masterchef: The Professionals’ Claudio Costea. Steeped in history and studded with majestic buildings, Oxford conjures images of Harry Potter's Hogwarts and sets off romantic dreaming. One of the world's most famous university cities, this splendid city thrives with vibrant youth and brilliant minds. 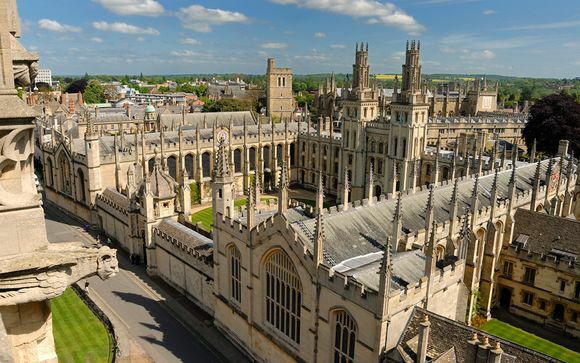 The elegant honey-coloured buildings of the colleges that make up the university, some dating back 750 years, wrap around tranquil courtyards along narrow cobbled lanes, and inside their grounds, a studious calm reigns. But along with the rich history, tradition and lively academic life, there is a world beyond the college walls. Jericho, in the northwest, is the trendy, artsy end of town, with swanky bars, restaurants and an art-house cinema. East Oxford is a gritty, ethnically diverse area packed with cheap places to eat and drink. Further out, in the salubrious northern suburb of Summertown, you'll find upmarket restaurants and bars. Some of the rooms in this historic hotel date back to the 12th century, as you walk from room to room you will be met with ornate windows, characterful oak beams & chic modern decor all presented in one elegant mix. Many rooms also look out over the river or carefully sculptured gardens. The restaurant showcases the very best of classic and contemporary cuisine. 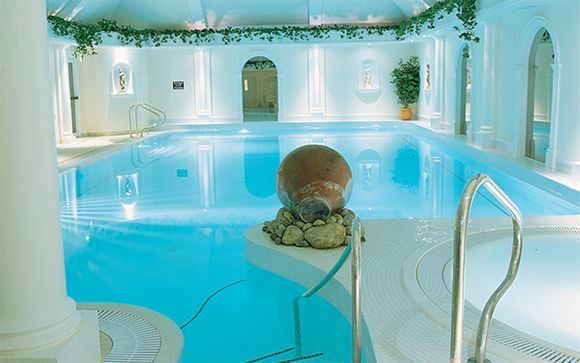 The fantastic spa, inspired by ancient Roman Baths, is a coveted retreat not to be missed! This offer is based on an upgrade to a Deluxe Room. 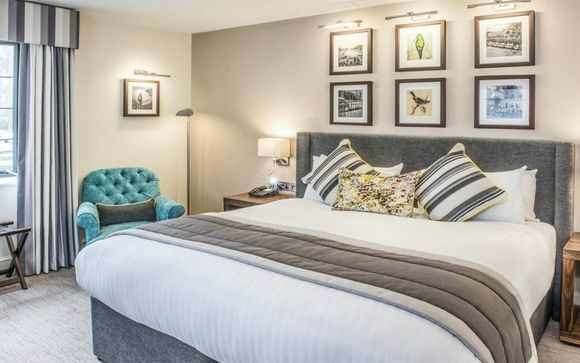 The rooms at De Vere Oxford Thames offer ample space, pleasant views over the hotel grounds and modern amenities to make you feel right at home in the quaint village of Sandford on Thames, just south of Oxford. Your Deluxe Room boasts chic style and a range of contemporary comforts. This offer is based on a half board stay. (Breakfast and evening meal served in main restaurant - excludes drinks) Just for you: Glass of prosecco with dinner per person. River Room Restaurant presents a simple yet indulgent menu for guests to enjoy, showcasing the very best of classic and contemporary cuisine. As the name suggests, the light-filled room overlooks the river giving you some remarkable views to accompany your meal. Crusaders Bar offers original beams, high ceilings and an alluring fireplace; a remarkable setting for a relaxing drink or a light meal. Inspired by ancient Roman baths, Riverside Leisure Club is a coveted retreat. Enjoy a swim in the indoor pool, the warmth of the sauna and steam room or a workout at the fully equipped gym or tennis court (seasonal). Treat yourself to a relaxing spa treatment, a full body massage or a facial.